Despite a gloomy economy 2008 still proved to be a banner year for commercial, retail, medical and civic building on the high desert . Cascade Business News featured 40 new facilities totaling slightly more than 1.9 million square feet compared to just 1.1 million square feet of new building space highlighted last year. Utilizing a conservative building cost formula of $100 per square foot, the new projects featured in this newspaper in 2008 generated $119 million into the Central Oregon economy, signaling an historic year in the region. Funding for these projects came from a variety of sources however most, fourteen, were privately funded. Bank of the Cascades financed seven of the projects with other banks sharing the rest: Liberty (4), South Valley (3) and these banks each financing one of the projects: Wells Fargo, Premier West, Community First Bank, Umpqua Bank, West Coast Bank, Community West Bank and Columbia River Bank. Five public projects were funded by bonds and levies totaling approximately $42.3 million: Ponderosa Elementary School, Madras Aquatic Center, Black Butte Ranch, Crooked River Fire Station and Mt. View High School additions. Cal Cannon (Millview Properties, LLC), who developed a series of six Class A office buildings along Colorado Avenue above the Deschutes River Canyon called Mill Point Business Campus, set his sights on one of the busiest corners in the Old Mill District with a major tenant anchoring the building that had to be prominent, yet fit into the scheme of the mixed-use district. He brought back the successful team of architect Scott Steele and general contractor Kirby Nagelhout to create the Wells Fargo Building on Bond Street just southeast of the Old Mill Cinemas that is respectful to the district’s lumber mill roots yet unique to the new landscape of businesses. The end result is a two-level, 20,683 square foot professional office building where one of the nation’s leading bankers has established its wealth management services for upscale customers in luxurious surroundings. Exterior steel elements, roof forms and color schemes balanced nicely with cast concrete, brick and champagne-colored metal panels definitely sets the Wells Fargo Building apart in the district, almost giving the building the look of a small village. Don McBride was one of the first developers of the famed Irvine Ranch in Newport Beach, California. He was twice honored with a Gold Nugget Grand Award by the National Association of Home Builders for achievement in architectural design and land use projects throughout the West while working for Crown Pacific Homes. He purchased a lot in the Airport Business Center on Fourth Street and set about to do something different on the high desert. He owned the lot for three years before embarking on a project that he called the RedBend Building with the team of BBT Architects and HSW Builders. McBride’s vision for the project was a commercial office building that would stand out in the bustling business center. He borrowed some roof line concepts from buildings in the Old Mill District, re-designed some original concepts with the help of Erich Schultz of Compass Commercial Real Estate Services and then gave the project his own personal touch—a copper-colored rooftop—that makes the building shine. The combination of masonry block and steel elements combined with the metal awnings above the commercial windows and the copper top certainly gives the RedBend Building an eclectic charm. Edge Business Center Gaining an Edge on Light Industrial Edge Business Center in the North Brinson Business Park is a trio of flexible 16,800 square foot buildings with turn-key features that help expedite occupancy for companies looking to lease or own. The units are being offered in the highly desirable business park with easy access to the Bend Parkway via Empire Avenue. The center, developed by Edge Development Group, LLC, on the corner of 18th Street and Sockeye Place, is a master planned light industrial campus that when completed will have seven pre-engineered buildings offering over 100,000 square feet in a variety of sizes and packages. Pacwest Design teamed with HCI Steel Building Systems of Arlington, Washington to create the two-level units that include office and shop space on the ground floor and warehouse/storage or even more office space on the second level. Each office portion of the units is equipped with air conditioning and each building comes with three sets of staircases for private access. The units in each building range from 1,900 to 4,500 square feet with a separate entry and hallway between units. Phase II of Edge Business Center will include a pair of two-level, 16,800 square feet buildings and a pair of 13,200 square foot buildings, giving the campus a total of 110,400 square feet of light industrial zoned properties. It’s quickly earned its place in the community as “The Beautiful Beacon on the Hill” throughout Jefferson County and rightfully so. The sparkling $9 million Madras Aquatic Center has been a half-century in the making and offers a lifetime of enjoyment. Almost three years after Jefferson County residents narrowly passed an $8.1 million construction bond and operating levy, the 33,000 square foot indoor facility complete with three pools, locker rooms, community/party room and formal lobby has been completed. Built on a 3.5-acre parcel just south of Jefferson County Middle School, the facility offers a 25-yard, six-lane lap pool, leisure pool with play structures and an entry pool for the 25-foot, three-level water slide that is sure to become a big hit with the kids. The three stainless steel, Italian-built Myrtha Pools are neatly trimmed with blue tile and the west facing wall of windows that allows the building to glow at night offers unbelievable views of Mt. Hood, Mt. Jefferson, The Three Sisters and Broken Top. The 27,098 square foot Madras Aquatic Center was constructed by Robinson Construction and designed by Opsis Architects in Portland, swimming pool design by Myrtha Pools. Lowe’s Home Improvement Warehouse of Redmond, constructed by Robinson Construction, is a 102,000 square foot facility at the northwest quadrant of Highway 97 and Veterans Way at Canal Street. Lowe’s is the first phase of The Shops at the Old Fair District that encompasses 16.51 acres on the former site of the Deschutes County Fairgrounds. It’s an impressive start. RTC Partners. which reconstructed Canal Blvd, widened Veterans Way and South Canal Blvd and installed a new traffic signal before work ever began, is set to launch the second phase of the project, a five-acre parcel where a 9,000 square foot retail center facing Highway 97 and anchored by U.S. Cellular will be constructed. Steele Associates Architects are designing the project and have created a stone structure with a variety of colors and textures. SunWest Builders will serve as the general contractor. RTC Partners will also develop a 1.2-acre parcel north of Lowe’s zoned C-2 and a 1.59-acre parcel zoned C-1 (allowing for a drive-through business) in the third and fourth phases of the project. Brian Fratzke, principal of Fratzke Commercial Real Estate, is leasing a building that many are finding desirable on the high desert. A two-level, steel-reinforced Class A office on the corner of Columbia Street and Simpson Avenue next to Ray’s Food Center offers flex space ranging from 1,500 to 5,000 square feet sandwiched between the Old Mill District and Broken Top. The 1160 Simpson Building was originally designed and built as the headquarters for Woodhill Homes before the local housing market went stagnant. It offers some great natural lighting with oversized windows facing the high traffic counts on Simpson Avenue, formal elevator, three separate entries and is plumbed for men’s and women’s showers. Both floors total 5,609 square feet with two formal stairways on the east and west ends of the building allowing for access off the large rear parking lot that is leveraged with two other buildings. CS Construction of Bend served as the general contractor for the project that has attracted interest from a software company, a law firm, an engineering company and general office users according to Fratzke. The high-profile building’s main attraction is its openness with an abundance of oversized commercial windows allowing for natural lighting. The developer is Investment Property Development, LLC and it was designed by Bolighus Architecture of Portland. Todd and Tama Goodew have fast-tracked an old recipe initially devised by Todd’s Uncle Hoppe in Fort Dodge, Iowa into Rocky Mountain Products, a multi-faceted product industry now numbering 156 employees that traces its roots to a genuine American staple—the art of seasoning, marinating and barbecuing. It’s also provided a successful livelihood for them as witnessed by the new 50,000 square foot manufacturing, processing, warehouse and administration offices that they opened in Redmond’s Desert Rise. The concrete, tilt-up building, designed by CIDA, Inc. and constructed by Keeton-King Construction of Sisters, also includes a cooking school, retail outlet, research and development, test kitchen and the company’s newest innovation—meat processing. The one-stop shop for seasons, sauces, marinates, meat rubs and other specialty items has blossomed from the days when Todd tinkered with Uncle Hoppe’s recipes in the Goodew family kitchen into a full-blown manufacturing plant capable of producing 4,000 gallons of sauces and 60,000 pounds of meat daily with 50 fulltime employees and a USDA meat inspector on the premises at all times of operation. The Goodew’s are also excited about the cooking school set to open on the site with weekly classes in conjunction with culinary programs at Redmond High School and Central Oregon Community College. The expanded research and development center, complete with smokers, small kettles, slow-roasting ovens and mixers is also a welcome new addition where meats are sliced, diced or reconstituted, again emulating a client’s store operation. The giant warehouse includes two operations rooms—seasoning and sauces—and demonstrates the complexity of Rocky Mountain Products’ production. Black Butte Ranch General Manager Loy Helmly said they had spent the past decades in facilities that were either never designed for the present uses or had been hopelessly outdated and overgrown by users. Agreeing it was time for some big changes, the ranch residents approved an assessment of property owners to the tune of $12.5 million in 2005 and coupled with $3.3 million in reserves, began plans for a four-phase project that would address the needs of one of Central Oregon’s premier resorts. A taskforce identified the process in four phases that included a new recreation center, community center with administration offices, postal center, police station and meeting space, maintenance and housekeeping facilities and a new welcome center. Three of the four phases have now been completed blending the ranch’s distinctive design elements that includes shed roofs, light-stained vertical cedar siding coupled with modern sustainability features and contemporary interiors that have given the ranch a fresh new look. Architects Gary and Amy Holbrook of HD Architecture boldly demonstrated their dedication to the region’s outdoor lifestyle with the new community center, police station and maintenance facilities at Black Butte Ranch. The 12,078 square-foot community center is the centerpiece of a campus that includes the postal office and meeting space on two levels and blends nicely with the 3,086 square-foot police station next door. The final piece of the $15.8 million package will be a new welcome center at the front entry. The ambitious project was a long-time coming, and each of the major players on the project points to key elements that they like best. Developer Jerry Moore, partner Mike McKnight and their small group of investors introduced their newest project, Westmar Business Center, on Ninth Street in Bend. Westmar Business Center encompasses three pre-engineered buildings in a campus setting with 81 shared parking spaces totaling 39,637 square feet. Jim Landin of GGL Architecture designed the buildings with Sun Steel Building Systems of Washington providing the metal components. Building A is a 12,127-square-foot structure that faces Ninth Street and has an approved conditional use permit for related office and showroom. The flex space ranges from 2,861 to 3,500 square feet and each unit has a 12 by 14-foot rollup door. Building B is 13,389 square feet with units ranging from 3,321 to 3,400 square feet with one office and restroom in each unit. All are available for sale or lease. Building C is 14,121 square feet and includes two desirable dock-high doors in a 7,240 square foot space for a larger user and two additional spaces at 3,620 and 3,261 square feet with rollup doors. It’s possible that nobody is more excited about the new 18,000-square-foot Crooked River Ranch Fire District station than Iva Yost, who helped found the fire district with husband Ken and fellow Crooked River Ranch resident Bob Ward more than 30 years ago. When the Yosts moved to Crooked River Ranch in 1977, they were both freshly retired from longtime careers in the fire protection industry – Ken was a Portland firefighter and Iva had sat on several fire department and district boards over the previous 20-plus years. The ranch was a fledgling community of around 250 people and there was no nearby fire department to protect their property from burning or help in a medical crisis. Recognizing a need, the couple and Ward worked to see the passage of a $50,000 levy to found the fire district and build a station. In a demonstration of their commitment, the Yosts even took out a mortgage on their house to purchase the district’s first fire truck, a 1954 White Pumper. The new station is the result of a $2.75 million levy passed by voters in November 2006. Kirby Nagelhout Construction of Bend was selected as general contractor and Portland-based Ivars Lazdins was chosen as architect. The building is comfortable and state-of-the-art with solar power capabilities, separate bunks for each firefighter on duty, a dining room, fitness room, large kitchen, day room, administrative offices, conference room and a humongous 10,000-square-foot bay with heated floors and room for all of the district’s emergency medical and fire response vehicles and equipment. For the past 11 years, the North Brinson Business Park in Bend has been one of the most successful light industrial real estate stories in Central Oregon. The 100-acre upscale park, located just east of the Bend Parkway and Empire Avenue, has blossomed with more than 50 buildings ranging from High Desert Beverage to the Central Oregon Indoor Soccer Center to KOHD’s new state-of-the-art television studio and production offices. Developers Jerry Freund and Kevin Spencer opened the former Brinson Family Farm site on May 4, 1997 with the closing of their first sale to Pneucon System’s precision sheet metal fabrication business on High Desert Lane that remains among the bustling businesses on the northern end of the city. Fittingly, with North Brinson Business Park coming to fruition with about a dozen lots left available for development, the duo unveiled the Freund/Spencer Office Complex, a 14,000 square foot professional office building on Lower Meadow Drive. The two-level building boasts formal entries on both its eastern and southern sections with a shared parking lot that connects to the developer’s buildings on the lower end of the compact campus setting. The downstairs flex space can be divided into four spaces or upgraded for one large tenant ranging from 1,212 to 6,000 square feet with nearby warehouse space available complete with rollup doors on the campus. The exterior is enhanced by three distinctive natural colors of split-face and ground-face masonry block accented by green-framed windows and light tinting that gives the project a strong professional appearance. With all the high-tech, computer-enhanced dental equipment, digital x-ray capabilities and Smart Smile technology behind him, Dr. Brian Rosenzweig strolls to a simple bulletin board in the hallway of his new clinic and points with pride. And with one gesture, Dr. Rosenzweig offers a glimpse of the personal pride that he has taken in his 4,200 square foot clinic located on the corner of Emerson and Fourth Street near Bend High School. The Northwest Craftsman-styled building, designed by Don Tompos of BBT Architects of Bend and constructed by SunWest Builders of Redmond, gets a huge assist from medical clinic designer Joyce Matlack of Matlack Van Every Design of Santa Cruz, California, who followed Dr. Rosenzweig’s vision for a lodge-style orthodontics clinic with a an appealing look and feel that welcomed patients of all ages. For architect Jim Landin of GGL Architecture, LLC, the stagnant market meant adjusting and re-designing a planned residential-retail project along Newport Avenue after a long period of planning and designing when developer Brad Fraley became nervous in current market conditions. The project included five loft residential units approved by the City of Bend’s Planning Department that were ultimately scratched and revised into office space in a move that is paying off at Newport Lofts just east of Newport Avenue Market. The two-level, 9,800 square contemporary building with its trio of distinctive cupolas on the rooftop has already attracted a law firm that has signed a letter of intent for the 5,200 square feet on the second floor that was originally designed for five small living spaces. The conversion was relatively simple since the changes did not impact the exterior of the building. The plans remained almost identical once the five exterior stairways that led to the lofts where trimmed to two for the revised commercial space along with some minor modifications. The downstairs retail remained intact with five flexible spaces bordering Newport Avenue and its high traffic volume and strong storefront presence offering 800 square feet for upscale shops and high-end businesses. Newport Lofts was developed by Brad Fraley and the contractor was CS Construction. Laidlaw Building at the intersection of Cook Avenue and Fourth Street the first retail/office building constructed in Tumalo in years and has an uptown presence with its brick, elongated commercial windows and corrugated metal plus the urban light fixtures that illuminate the 9,381 square foot structure. Three business partners representing the three anchor tenants in the building–Quick Feat International, Bellatazza and Kubota Photo-Design, Inc.—joined forces in purchasing the 26,000 square foot lot three years ago. The challenge in creating the Laidlaw Building was creating a septic, sewage and water drainage system within close proximity of the nearby Deschutes River that would satisfy Deschutes County building officials and Department of Environmental Quality representative while servicing six tenants in the planned building. “Most developers would have gotten real jittery given the circumstances,” said developer Glenn Willard, who also owns Quick Feat International and operates the business in the project. “Developing on-site sewage along with a 10,000 square foot building on a 26,000 square foot lot took a lot of ingenuity. Our septic system is as technical as it gets with a drain-fill under the parking lot and what I like to call ‘The House of Tanks’ out back. The filtration system is enormous. Once in order, SunWest Builders of Redmond started working on the designs created by Christian Gladu of The Bungalow Co. in Bend based on a similar project that the developers discovered in Mazama, Washington. It’s difficult to imagine a company diverging after 30 years of unparalleled success and re-branding its product line, but that’s exactly what owner Todd Hakala of Brian’s Cabinets has done while diversifying in an evolving market. Founded in 1977, the handcrafted cabinetry manufacturer featured in many of the finest custom homes throughout Central Oregon has changed course by adding a new line of modular cabinets and shelving to compliment its high-end products under the umbrella of HMI in the competitive housing industry. What’s more, Brian’s Cabinets has opened a contemporary showroom in the Basalt Business Center near the intersection of 18th Street and Empire Avenue in Bend that features the best of both worlds that the company has to offer general contractors, homebuilders, re-modelers and homeowners. The 10,300 square foot building, designed by Neal Huston & Associates with CS Construction serving as the general contractor, culminates four years of planning to meet the company’s growing needs for more administrative space while satisfying customers with an open, contemporary showroom. Patricia Gibford, president and chief executive officer of Clear Choice Health Plans, looks out on the panoramic views from her fourth-floor office where she is instantly reminded of the natural beauty of the high desert, and it’s easy to see why the company made a concentrated effort to go green. From Gibford’s quaint office, the views of the Cascades, Pilot Butte and the Badlands are magnificent and it’s understandable why so many endear the local environment and hold true to the principles of eco-friendly and sustainable building while being sensitive to the surrounding area. So it’s no coincidence that when the board of directors and employees of Clear Choice Health Plans began planning for a new corporate center in Bend, there was an overwhelming drive to qualify for the LEED gold certification. Officials at Clear Choice Health Plans also cared enough about the surrounding Mountain View Neighborhood and adjacent Whispering Winds retirement community that they met with them several times to discuss the building’s height, appearance, exterior lighting, operating hours, parking and even where the trash receptacles would be stored. The 66-foot tall building would require a city height variance, and under city code, the applicant was required to have one public meeting. The building ownership group held several public meetings and also addressed landscaping, fencing, a rear retaining wall and the rear parking entry before proceeding. Ron Barber and Maureen McClelland of BBT Architects assured everyone that the building would not be intrusive despite its height and 78,000 square feet and it ultimately met the approval of the neighbors and Clear Choice Health Plans board of directors plus the company’s 150 employees and thousands of clients that it serves throughout the region. The end result, crafted by Kirby Nagelhout Construction, is a four-level professional office building that subtly fits on Conners Avenue just east of St. Charles Medical Center and reflects one of the most successful companies in Central Oregon. A sophisticated new restaurant, second-level wine club and contemporary loft condominiums packaged into a structure with a unique street edge has come to life with the opening of the 919 Bond Building in downtown Bend. The 43,000 square foot building, designed by Steele Associates Architects and crafted by SunWest Builders, offers 3,995 square feet of highly visible retail space on the first floor. The second level offers the unique wine club, The Loft, with former National Football League star Drew Bledsoe and his partners bringing a new form of private club membership strictly for wine connoisseurs. The third and fourth floors offer some of the finest condominiums in the region with roof gardens and decks and attached parking off the main alley way all neatly packaged with detailed masonry exterior that sets the building apart from others downtown. Three distinctive tiered levels designed by Steele Associates Architects and rooftop gardens with decks in this four-level building is another milestone project in downtown Bend. Exceeding expectations clearly describes the loft condos on the third and fourth levels. Ranging from 1,338 to 2,241 square feet, the condominiums are elegant and finely detailed with great clear vertical grain fir trim throughout, custom tile, fireplaces and Jacuzzi tub in the master bath. Twin Knolls Plaza, a 46,000 square foot multi-use facility on Bend’s east side, gives retailers and commercial business owners a new location to shop for available space. Wes Brown of Santa Cruz, California invested $3 million in construction of the massive Twin Knolls Plaza, tucked away on a piece of paved-over land behind Wells Fargo and across from Office Max on Windy Knolls Road near the intersection with Greenwood Avenue in Bend. Brown says Twin Knolls can renovate the spaces into office condominiums as well. Prineville-based Community First Bank opened its newest location affectionately known by company officials as the Mill Quarter branch on Bend’s west side at the corners of Colorado and Arizona Avenues. This is the second full-service branch location for Community First Bank, founded in 1980 by private investors. The 6,500-square-foot, two-story building hosts spacious, comfortable office spaces, most of them upstairs where tall, magnificent windows provide plenty of light, as well as wide views of the daytime sky. The Mill Quarter branch is on track to receive a Leadership in Energy and Environmental Design (LEED) Gold Certification from the U.S. Green Building Council, a coalition of building industry leaders that strive to promote environmentally safe places to live and work, according to a Prineville Bancorp news release. The building features innovative designs in energy conservation and responsible building construction. Highlights include a solar panel system providing more than 12 percent of the branch’s annual electricity needs, a monitoring system that allows customers to view real-time renewable energy production at the bank, as well as occupancy sensors and dual-ballasted lighting controls in all offices that help reduce energy use while giving workers more control over their lighting needs, according to the press release. The facility was designed by Steele Associates Architects LLC and constructed by SunWest Builders. Bend-based Robinson Construction Co. constructed the Coutin Professional Building in Madras, 5,310-square-feet of office space designed to fit in with Central Oregon’s geography while providing a comfortable, free-flowing setting for at least three businesses. 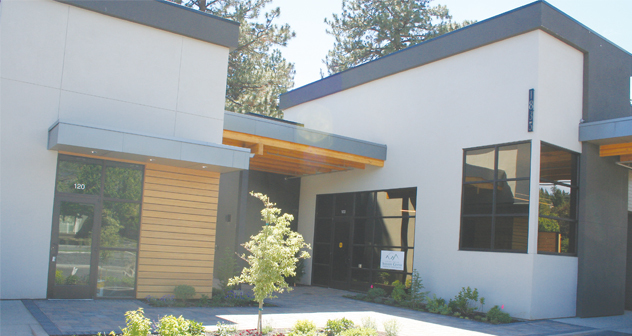 Dr. David Coutin, sole practitioner of Allergy Asthma Associates on Doctors Drive in Bend, owns the building, choosing to occupy 1,560-square-feet on the right side of the ground floor of the Madras facility. Dr. Coutin built the Coutin Professional Building with a little bit of the old build-it-and-they-will-come approach. The facility’s remaining two office spaces, 1,250-square-feet on the bottom, left-hand floor and the 2,500-square-foot second story, boast incredible views of Mt. Jefferson, and Mt. Hood on a clear, blue-sky day. Mike Nothwang, a project designer with Bend-based BBT Architects who took the lead for his firm on the Coutin Professional Building, said the new building and accompanying land definitely give off that Central Oregon vibe – rock fixtures, expansive windows conducive to spilling sunlight, and local and regional fauna placed strategically about the grounds in order to soften the visual appeal of a massive concrete edifice – but he also brought a little of his Central Texas influence (Nothwang lived and worked in Austin for five years) into the mix. One of Dr. Coutin’s favorite features is a coffee Dutch, complete with a bicycle rack, located just outside a front window in his waiting room, where his patients, or really anybody, can spend time relaxing outside in the shade – unless, of course, they are experiencing an allergy attack during periods of high pollen. Anyone turning right onto Aylor Court back in Sisters’ industrial center wouldn’t glance twice at the newly-built, long and narrow structure sitting behind an electronic security gate. It looks like nothing more than another storage space erected so people can continue to hold on to and store possessions they rarely use for a couple hundreds dollars per month in rental fees. But look a little closer, because that is no personal storage space at 603 N Aylor Court. It’s the region’s first Auto Condominium, or “car condo,” called The Classic Garage, and owners Steve McGhehey and Bill Zilk hope to see all 36 of the 10×15-foot bays filled with sporty cars, much like McGhehey’s 1966 black Corvette Stingray, which is visible every now and then in front of the condo’s clubhouse, or the Shelby GT500 KR, which is signed by Carol Shelby himself, tucked away inside one of the building’s storage bays. The Classic Garage offers Central Oregon residents a range of highly-secure, climate-controlled and completely self-accessible units that can store anything recreation-related to a collection of classic automobiles. The10,000 square foot project was designed by Design Strategies, Inc. and constructed by Redstone Construction Services, Inc.
One of the more sought-after retail locations in all of Bend is, arguably, Century Drive, one of the city’s busiest arteries and the main route out of town to Mt. Bachelor. Glenn Cook and Associates, Inc., a construction company owned by the father, Glenn, put the finishing touches on the Shops at Century Knolls, a 6,200-square-foot, lodge-style retail facility that sits right on Century Drive, allowing Fly and Field Outfitters to move into 2,400-square-feet of space on the building’s left side and close down its original location just up the street. “We bought Fly and Field four years ago from its original owners, and from the time we purchased it we had a vision of finding a commercial piece of property in this area where we could relocate the business but stay on Century Drive,” said Scott Cook, a partner in the building with his father and part owner of the retail business with his brother, Jeff. Construction started on the Shops at Century Knoll back in 2006. Glenn Cook and Associates first had to knock down the old pizza shop, remove the remaining debris, including the old volleyball court and start from scratch in developing the facility Contractor for the project was Sutterfield Construction and architect Roy F. Kroll, Architect, PC. Drivers headed north through downtown Redmond couldn’t miss seeing the massive commercial construction project stretching the entire length of a city block along Fifth Street between NW Cedar Avenue and Dogwood Avenue. SunWest Builders, Inc. constructed what is now called Black Bear Square, a 24,400-square-foot edifice anchored on the south end by the Black Bear Diner and on the north end by Washington Federal Savings bank. The two-story complex, which provides views of Mt. Washington through massive, lightly-tinted windows on the upstairs, Fifth Street side of the facility, is essentially one building, the inside being one elongated space that can be subdivided on each floor into four separate stores or offices. Scott Steele, principal architect for Bend-based Steele Associates Architects LLC, said he intentionally designed the elevations to appear as a streetscape of distinct “infill buildings,” each with its own character to give that small stretch of Redmond a facelift in order to help strengthen the urban fabric and pedestrian experience downtown. Maverick’s Fitness Center at Sunriver, a 30,000-square-foot facility, has the only FlowRider wave machine in the region, where children and adults can brave the fast-moving water shooting up the slope, jump on a scurf board (similar to a surfboard but much smaller), boogey board or just about any other flotation device, and ride the simulated four-foot wave. The FlowRider, manufactured by Wave Loch, Inc. of La Jolla, California, is an artificial sheet-wave surfing machine incorporated in many water parks and hotels. It was originally invented by surfer Tom Lochtefeld for the Schlitterbahn Waterpark Resort in New Braunfels, Texas. Also indoors is space for a wedding or meeting, a half-court basketball court, another rock climbing wall, a fitness center and an on-site physical therapist. There is also Swedish, hot-stone and deep-tissue massage offered, as well as Yoga, fitness and spinning classes, with some outdoor sessions. The $4.27 million project was constructed by Dave Ratzclaff Construction and designed by Robertson Sherwood Architects. LibertyBank’s newest Central Oregon branch, located at the south end of Bend off Third Street, apparently looks so inviting that it was attracting customers before the bank even opened for business. This is LibertyBank’s fifth Central Oregon office, it’s fourth in Bend, and the first of the new generation look to its office design, which is commonly seen in Eugene and other markets west of the Cascades. Some of the features of the new branches include warmer colors, a market stand set up like a miniature store complete with books, software and minted coins for sale, and a client lounge area where people can enjoy coffee and cookies while surfing the internet for news and information or checking their accounts online. The new, 4,500-square-foot branch also installed three flat screen televisions, two that hang over the teller windows, broadcasting news to customers waiting their turn in the lobby line. Contractor for the 4,500 square foot project was Chambers Construction of Eugene. It was designed by Robertson Sherwood Architects. It’s not every day that a commercial office building comes complete with a “Wow” factor, but The Point at Shevlin Corporate Park, a 37,752-square-foot structure that rises over the Colorado Avenue and Simpson Avenue roundabout does just that. Walking up to the building from the parking lot, The Point appears to be a two-story building shaped like a half moon and really not all that individualistic. After taking a few steps onto the entry walkway and past the hanging flower baskets, visitors begin to realize the building is actually three stories high. The bottom floor is set underground, sort of, complete with a 12,000-or-so-square-foot courtyard, a cascading waterfall, bicycle racks, a pseudo lava-rock wall stretching the length of the grounds (each sheet weighs 10,000 pounds), and a retention pond that collects storm water runoff from the parking lot. The Point also acts as a backdrop to the roundabout art across the street that replicates a school of salmon swimming upriver to spawn; if you stand across the street at the headquarters of Bend Brewing Co., The Point appears as the back, glass panel of a massive fresh-water fish tank, from a personal perspective. It only takes about 15 minutes to get to the nearest town, but driving up the main road to the Brasada Ranch, owned by JELD-WEN Development, Inc., one gets the feeling of being hundreds, if not thousands, of miles removed from civilization. Passing under a railroad trestle that looks like it was beamed straight out of the 1800s and into 2008, visitors, home owners and guests alike come upon the Brasada campus, which is designed to look like an old farming community, complete with the rancher’s house, a post office-general store, an old barn and a cattle barn. The 17,000 square foot, $9 million athletic club seems to have something that almost everyone would be able to enjoy. The club itself is set into the side of a hill, so upon first approach it is hard to get a sense of the overall size of the facility – it actually looks quite small and narrow. Once inside and standing at the top of the 20-step staircase, the entire 17,000 square foot club stretches out across the natural high desert landscape, and immediately a huge pool – three pools actually, which Brasada officials refer to as their “swimming holes,” pop into view, complete with rocks, a 45-foot waterslide and a lazy river that allows guests to float along in a current. Keeton & King Construction Inc. served as general contractor. The club was designed by Cottle Carr Yaw Architects LTD. In 2005, Dr. Ida Alul, Dr. Patricia Buehler, Dr. Michael Mastrangelo, Dr. Jean Verheyden, Dr. Ryan Gallivan, Dr. John Murphy, Dr. Peter Palacio, and Dr. C. Christian Friess bonded together to develop a new facility that would house their practices, InFocus Eye Care, Bend Surgical Associates and Central Oregon ENT, respectively, in one location. A new facility would give the partners ownership of their respective offices, drastically cutting overhead expenses, which many independent health care professionals say is the name of the game when it comes to turning a profit in that industry. The construction on what would eventually become the $10.2 million Pinnacle Building — 37,149 square feet of medical practice space — didn’t begin until March 2007 but was completed by February 2008, and includes the Cascade Café. Dr. Ida Alul and Dr. Patricia Buehler designed Infocus Eye Care to complement the feel of the Pinnacle Building —elegant, yet comfortable, with plenty of natural lighting. Patients find themselves treated to a soothing atmosphere with soft, neutral colors and a boutique optical shop where they can browse for the latest styles in glasses and sunglasses while they wait. The project was constructed by Marshall Erdman & Associates of Madison, Wisconsin and designed by MEA1, Inc.
It’s possible that Bend could become the place to go for people seeking plastic surgery. Our own little nip and tuck Mecca, thanks to the state-of-the-art Revere Medical Building. Dr. Michael Villano and Dr. Donald Delsi designed the Revere Medical Building to be the only medical facility in Central Oregon where patients who want a cosmetic procedure performed, like a nose job or a face lift, can have all of their needs met, as well as those who may have experienced a traumatic facial accident, who need regular ear, nose and throat care. Dr. Villano, a graduate of the American boards of otolaryngology head and neck surgery and facial plastic and reconstructive surgery, and Dr. Delsi, a board-certified oral and maxillofacial surgeon are seeing patients at the brand new facility, located at 431 NE Revere Street in Bend. Dr. Villano’s office on the east side of the Revere Medical Building is home to Cascade ENT where he sees ear, nose and throat patients for everything from acute sinus infections to radical mastoidectomies. Combined, Dr. Villano’s practices occupy 3,100 square feet on the first floor and are connected by a long hallway, which is anchored in the middle by complete surgery and recovery rooms. The $2.1 million project was built by CBM Development and Construction LLC of Bend and designed by GGL Architecture. In May 2008, Kirby Nagelhout Construction Company began an enormous three phase renovation and construction project at Bend’s Mountain View High School. Phase 1, which was awarded to the company at the beginning of the year, began in shortly after Memorial Day in May. A central caveat of the deal was that Phase 1 would be completed before students returned to school in the Fall. Kirby Nagelhout was able to make good on that promise. Phase 1 was itself a multi-level project, beginning with a complete gut of the one side of the school, and was in part designed to fulfill Bend-La Pine School Districts commitment to comply with the Americans with Disabilities Act. This part of the project was essentially a complete redo of the science wing, and adjacent bathrooms. Phase 2 addresses another glaring need for the high school: more classrooms. Kirby Nagelhout is building a 15,000 square foot addition which will add nine new classrooms, and provide better flow for foot traffic through the campus. Phase 3 will focus on the back part of the school, which was never completely finished. Phase 3 also includes a 2,000 square foot building for the FFA (Future Farmers of America) program, which will be used as a vocational building for students interested in the agriculture programs. When this final part of the project is completed, in the beginning of March 2009, students and staff will have a safe and aesthetically pleasing area on campus to compliment the other improvements. DLR Group was the architecture firm from Portland chosen to design the project. During the summer of 2008, Grace First Lutheran Church officially moved from its old location at 231 NW Idaho Avenue in Bend, originally built in 1916, to a new 14,160-square-foot building on Shevlin Park Road at the northern end of NorthWest Crossing. The entire structure is being built in three phases. Phase one includes a temporary, ground-floor narthex with the capacity to hold 180-or-so people, along with a large kitchen, conference room and office space for the church’s administrative staff. On the second floor, churchgoers will meet in classrooms for Sunday School and Bible study as well as community use, all while enjoying easy access to the ground floor amenities via an indoor elevator connecting both floors. Don Stevens architect designed and prepared the plans for the new facility while Kirby Nagelhout served as general contractor. A large stained glass window from the old building was relocated to the new facility and refurbished by Bend Stained Glass. Robinson Construction Company began building the Ponderosa Elementary School located on the corner of Yeoman Road and Northeast Purcell Boulevard in October 2007. Normally a project of this size (65,000 square feet) would take a minimum of twelve months, but Robinson was able to keep a very tight schedule and the doors opened on time for the 2008 school year. What this means is that the school is designed to take advantage of natural cross ventilation throughout the building. This design type limited the need for air conditioning units to the core of the school, which includes the main office and media rooms. The school, named Ponderosa for the former ponderosa pine nursery located there, is an example of the entire community coming together and producing a necessary entity in a cost effective manner, and doing it the right way. BBT Architects designed the school. Bill Smith, president of William Smith Properties and the creator of the Old Mill District, has transformed 270 acres along the Deschutes River that once housed one of the largest sawmill operations in the world into one of the most distinctive and dynamic mixed-use developments in the Northwest. That first phase of the retail development included the shops surrounding The Gap, Banana Republic and eventually Victoria’s Secret. Just a few years ago the brick buildings were refurbished where REI resides and Saxon’s Fine Jewelers and the Martini Bar keep everything hopping. Phase Two has just recently been completed, where Allyson’s Kitchen, Pastini Pasteria, Flatbread Community Oven and Orvis appear to be doing a good business, even during a looming economy. In June 2006, Keeton-King Construction began work on four new buildings at the north end of the Old Mill district, three built on spec and one constructed with interest from current tenant Orvis, an outdoors-themed store specializing in fly fishing gear. Group McKenzie, based in Portland, was brought on by Smith, who wanted to go in a bit of a different design direction for Buildings A, B, C and D than what had been created in the first phase of the project. According to Krause, Buildings A, B and C were modeled after historic buildings with regard to shape, roof lines, cupolas and what appears to be second-story windows. David Shurtleff of Redmond and owner of Coyote Ranch Restaurant, purchased the one acre lot off Hwy 97 with the idea of creating the perfect symbiotic relationship between dining and dancing. With an exceedingly popular restaurant known for the best steak in Central Oregon, Shurtleff seized the opportunity to introduce his customers and community to a new venue for weekend entertainment via a a country western dance hall. With call drinks, beer on tap and wine available, the barstools and seating areas situated opposite the stage will surely be full between dances. Throughout the night, Coyote Ranch will deliver hot appetizers to serve any guest who works up an appetite. While there’s no doubt that Ranch Hall comes alive on the weekend, there is anticipation of Shurtleff’s plans for Monday through Friday. Dance classes are scheduled to appear regularly, and the hall is open to a variety of dance styles and instructors. Private parties are also welcome at the hall. The 3,500 square foot project was developed by Architectural Specialties of Oregon Inc. and David Shurtleff. The developers of NorthWest Crossing, West Bend Property Company, have created an award-winning, diverse, residential, mixed-use community on the westside of Bend. West Bend Property Company is a joint venture between Brooks Resources and Tennant Development who collaborated to develop the varied neighborhood that includes two public schools, charming shops, tempting cafés surrounded by attractive parks and numerous trails. The most recent additions to the hub of NorthWest Crossing are two one story mid-sized buildings which sit next to each other and were built simultaneously by HSW Builders. Completed this summer, the buildings are geared toward retail, dining and office spaces. As with every building in NorthWest Crossing, these buildings are unique and welcoming. Designed by Todd Turner of BBT Architects, the robust buildings blend well with the other buildings on NorthWest Crossing Drive. Five years ago Peter Regna, who hails from the east coast, bought Central Oregon based Aircraft Rubber/Fuel Safe Racing Cells. The company designs, manufactures, and distributes a variety of high tech puncture proof bladders used in everything from NASCAR race cars for fuel, to water containment for NASA’s space shuttles and the International Space Station. One of the biggest challenges Aircraft Rubber faced was that their operations were divided into two buildings, one in Redmond, which housed administrative offices and a machine shop, and a building in Bend where their main manufacturing has taken place. Since both leases would expire in five years the company began developing a long term strategy to consolidate their operations under one roof. Today, the company’s commitment to Central Oregon has resulted in a custom, state-of-the-art facility which will allow consolidation of all operations under one roof. The $6.4 million dollar, 92,000 square foot building, built by SunWest Builders, includes administrative offices, a high tech research and development area and an enormous warehouse for manufacturing, storage and shipping and receiving. The space also includes a high tech solvent storage room designed for containment of flammable materials. 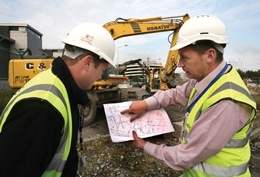 Safety was paramount in all aspects of the project. The projects Principle Architect Scott Steele of Steele Associates Architects designed a building that was functional, efficient, sustainable and visually stimulating. BRW Development, LLC is the brainchild of three entrepreneurial couples who happen to own the building in which the business is housed. After purchasing the land, strategically located near NorthWest Crossing on Bend’s west side, the site was developed in 2007 by Walker Structural Engineering, a mid-size structural engineering company with five employees. Jon Corbett and his wife are owners of Audio Image, also housed in the same building under the umbrella of BRW Development, LLC. Gary Laursen Construction Inc. served as general contractors on the project. The architect was Studio g, architecture LLC. Eight years ago, Breedlove Guitar Company President Peter Newport realized he didn’t have a real vision beyond building and selling guitars or any way to communicate it, so he began a crayola drawing on the back of a Breedlove Madonna poster. While touring the facility, people have the opportunity to witness Breedlove’s mission in action. Exotic woods, gleaned from almost every continent, include those popularized from the Pacific Northwest. Figured Myrtlewood grows only on the Oregon coast and in Israel. The guitars are, in a word, stunning. As clients enter the building, they are greeted in a mixed-use room that doubles as concert, clinic or meeting space with views into production. Other details of the building include clear storey use of indirect daylight, a color scheme that resonates with the NorthWest Crossing culture and a sound system that not only keeps the guitars moving 24/7 but softly serenades passersby. A great effort was made to design the building so it was pleasing for the community as well as servicing overall company core manufacturing practices. In October Redmond welcomed the newest addition to the meeting and convention community of Central Oregon, a new Sleep Inn& Suites on N. Highway 97. Part of the Choice Hotels International conglomerate, Sleep Inn & Suites and their on-site partner Canyons Restaurant and Grill plan to offer top class service in a sophisticated but casual environment. Investment group, North Redmond Properties LLC., recognized an opportunity to offer Central Oregon a stylish, yet affordable and casual option for hotel, restaurant and event space in one complex. North Redmond Properties LLC. did in overall concept and design. Portland architect, Jivanjee Architects PC, and Havniear Construction were awarded the contracts to bring the project to fruition. The decision to simultaneously build a restaurant and event space next door to partner with the hotel was another distinctive aspect. Canyons Restaurant and Grill will provide room service for the hotel and service the event space, which sits directly above the restaurant. This 4,500 square foot event space, complete with a large outdoor patio, can be divided into three separate spaces for meetings, or utilized as one large space complete with stunning high desert views and a dance floor. The 72 room hotel comes complete with all the usual refinements: pool, whirlpool, state-of-the-art fitness center and a guest laundry. When Mark Palmer decided to build a light industrial multi-purpose building near the fairgrounds in Redmond, he took a different approach. Rather than build a typical steel frame structure, Palmer used a wooden frame model. “A wood frame building is a more effective insulator,” he explains. In the blistery winters of the high desert future tenants will surely appreciate this decision. The Fairgrounds Business Center has several features which make it unique and attractive for businesses. The six distinct spaces include an office space, and five warehouse spaces, one of which was designed to be easily converted to a showroom or storefront. The largest warehouse space wraps around the main office and can be combined or leased individually. What makes the design distinctive is that there can be five individual businesses, or doors can be installed, and walls removed to make it a single unit. Over all the building is 16,700 square feet and sits on a 40,000 square foot lot with ample parking and enough room for undemanding industrial truck maneuverability. Each of the three warehouse spaces has two large overhead doors to facilitate shipping and receiving. Other warehouse amenities include large tiled bathrooms, industrial sinks, and pre-wired outlets for appliances. Two of the spaces have offices in front, and the third is designed to allow the tenant a variety of options from a warehouse to converting the space into a showroom or storefront. The overhead doors in this space can easily be converted to glass walls, allowing increase light and visibility. Contractor for the $1.4 million project was: Meulik Brothers Construction.